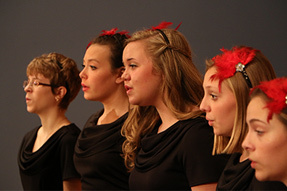 The Chandler Children’s Choir is the premier youth community choir in the East Valley, having offered performance-based choral education to hundreds of young people since 2008. Music selection, creative programming, and inspiring teaching form the backbone of our program, which instills a love of singing in our community’s youth. Learn more about us in the pages below.